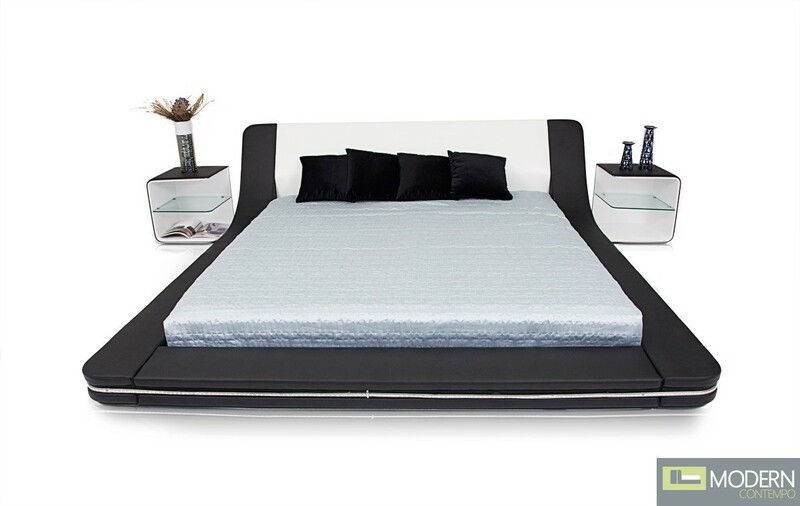 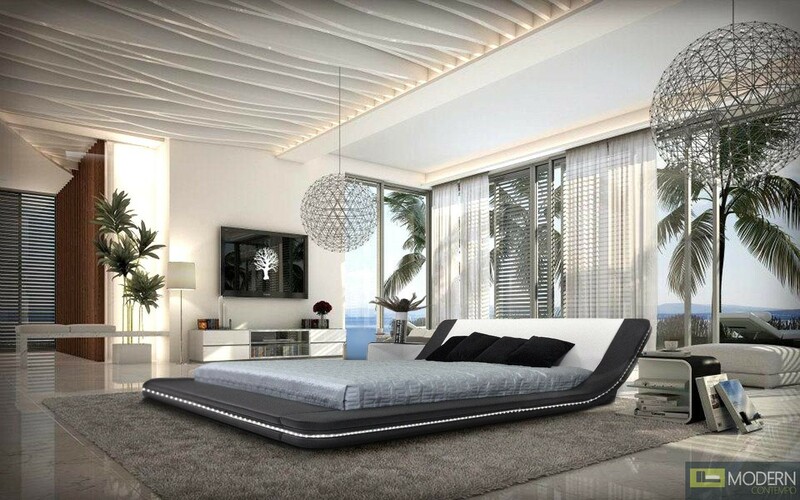 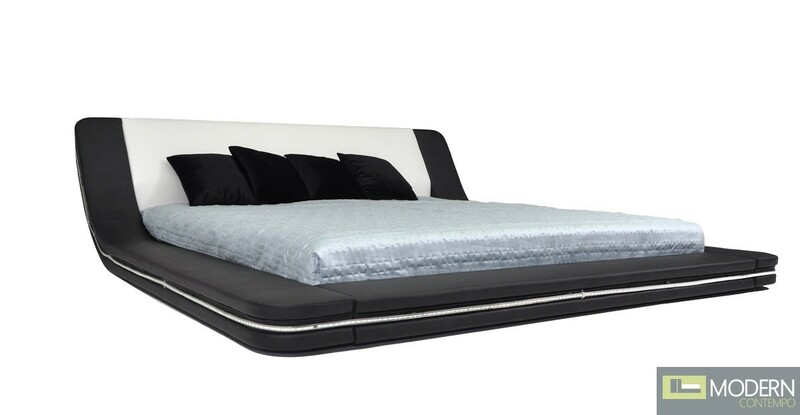 The Marquee is a popular selling bed featuring feng shui rounded safe design, padded bed frame for extra comfort, durable leather match upholstery, and an ambient contemporary LED lighting along the bed frame. 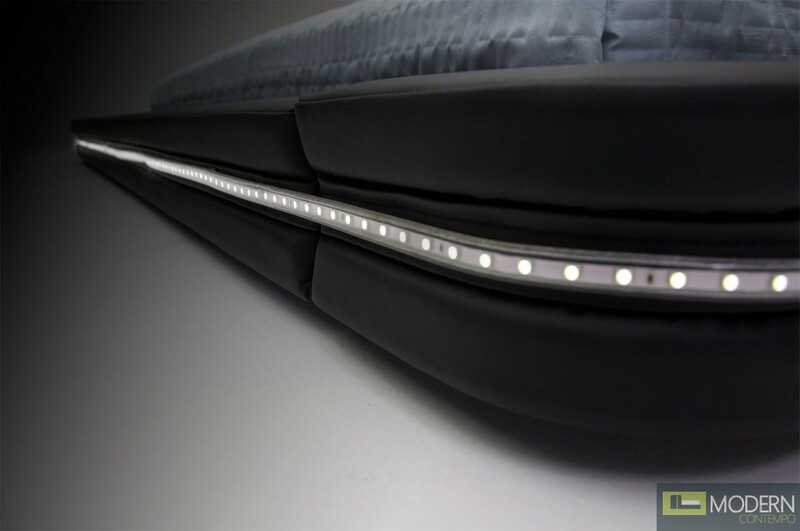 Comes with easy to assemble instructions, and LED strip powered by wall outlet electricity. 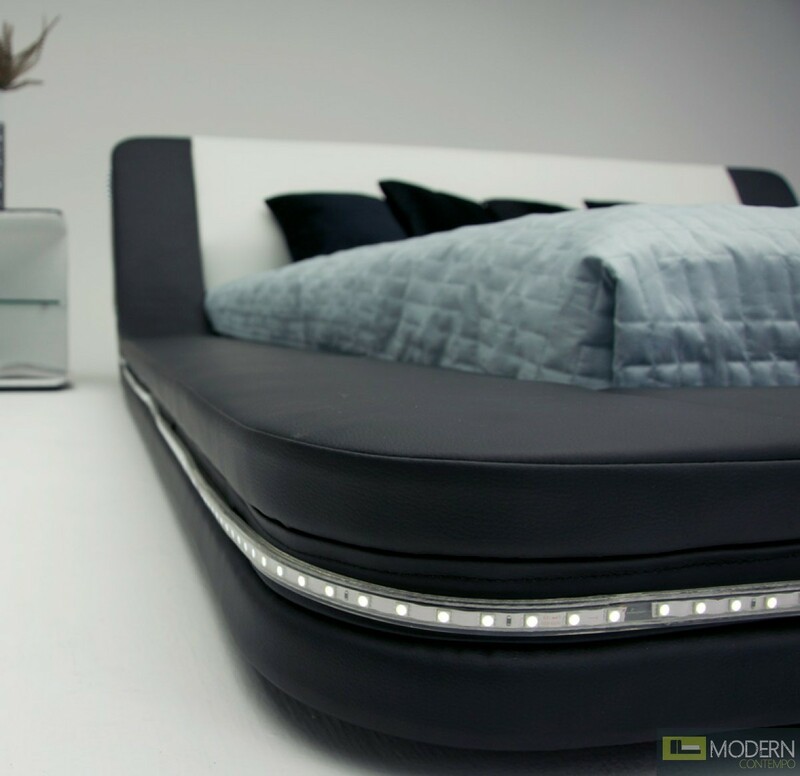 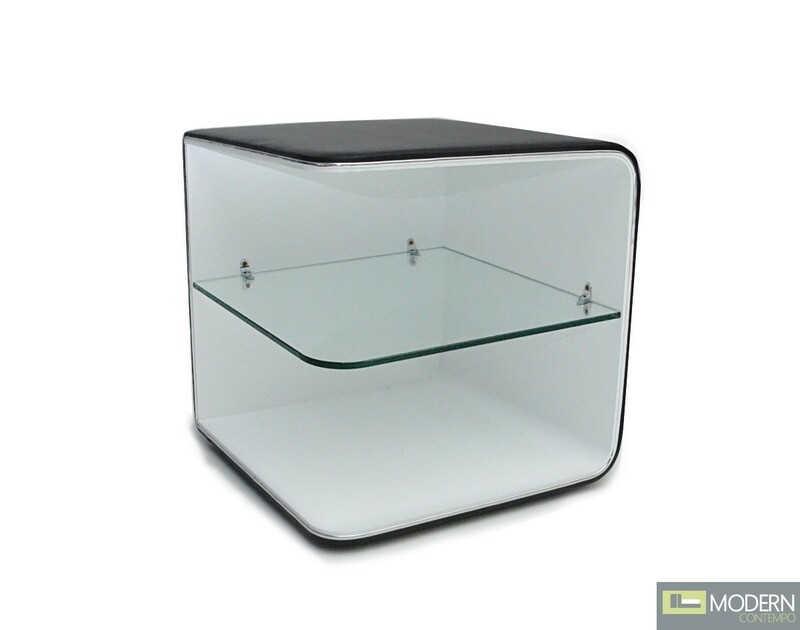 Matching nightstands are also available, completing the futuristic bedroom look.